In the mid 1950’s New York City was a cesspool of drugs, prostitution, and crime. The streets were ruled by vicious gangs and gang wars rose up all over the city. Rival gangs would fight for “turf” (land) to expand their gangs physical presence and to prove who was the toughest. The law of the fight was the only law these gangs understood and when two gangs went out to face each other, some did not return. Only the toughest would survive on the streets and don’t be caught on a rival gangs turf or you may be beat up, knifed, or shot. The weapon of choice was the switchblade, although they would use whatever they could find including pipes, baseball bats, zip guns, whips and chains, etc. It was during this time that a young man named Nicky was sent from Las Piedras, Puerto Rico to live with his brother in New York City to begin a new life. His old neighborhood was the worst in Puerto Rico yet they were happy to see him go because he was always getting into trouble and fighting. When Nicky arrived in New York City and stepped off the plane, he felt a new found freedom and decided to run the streets. However, not having a coat and it being winter he decided to go to his brother’s after 3 days. Shortly after, Nicky was walking down the street when he had his first encounter with a gang. Someone pushed Nicky up against a wall and pulled a switchblade knife on him. Even though this gang member was bigger, Nicky put up a good fight but got beat up in the end. It took a few weeks for him to recuperate. Than he went out to find his attacker and beat him with a baseball bat and drug him down the sidewalk. The word on the streets was “don’t mess with Nicky, he’s crazy”. Already Nicky began to create a reputation on the streets as a tough guy. As time went by, Nicky made a friend with the member of a gang and decided it was time for him to join a gang. He asked his friend to introduce him to the gang leader and he did. The friend brought Nicky to the gang clubhouse of the most notorious gang in New York City, the Mau-Mau’s. Nicky waited to be introduced to the leader. When they came and got him and took him into the room where the leader was, the leader ignored Nicky. Nicky finally asked “what do I have to do to join the Mau-Mau’s”? The leader said “there are two ways to join the Mau-Mau’s. The first way is to stand against a wall and I will take 20 steps from where you are, turn and throw a knife at you. If the knife sticks somewhere in your body and you survive, than you will be a member.” Nicky says ” I don’t like that way, what is the next”. The leader says “the second way is for you to stand against a wall and 5 of the toughest Mau-Mau’s will beat you all over your body until you are unconscious and if you survive, than you will be a member.” Nicky says “I’ll take the second one”. The leader says, “Nicky, you can’t fight back”. Nicky says “that’s not fair”… Nicky was beat from head to toe and when they got done, he couldn’t stand and laid there for almost an hour. It took Nicky a few weeks to recuperate, but at least he was a member of a gang. For once he had backup when he needed it. Nicky quickly rose in the gang to the position of “warlord” after six months, and then later he became leader of the Mau-Mau’s. Nicky’s reputation preceded him wherever he went, and his name brought fear to everyone who heard it. He had gone from running the streets to ruling the streets. In 1958 a young preacher named Dave heard about the rough gangs in New York and after much prayer decided to go and approach these gangs and tell them about Jesus Christ. He got a little money from his church and it was enough to get him there but didn’t last long. He ended up living in his car on the streets. During the day he would preach on the streets to those passing by and that was the first time that Nicky met him. He was the leader of the Mau Mau’s then and had his war lord with him. Pastor Dave told Nicky that “Jesus loved him and would never stop loving him”. Nicky responded by slapping Dave and threatening to kill him. Dave realized that if he could get to Nicky, he could get to anyone, so he set out as his mission to win Nicky to Jesus. Later, Pastor Dave came to a place where the gang was hanging out and asked to talk with Nicky. Nicky told Dave to leave or he would shoot Dave with his 32 pistol if he came any closer . Dave just kept on coming, so Nicky pushed him and hit him. His fellow gang members held Nicky back and said “you can’t beat him up, he is a preacher”. Pastor Dave told Nicky again how God lived him and Nicky was becoming more and more convicted. The only religion that Nicky knew was that of his mother and father who practiced spiritism and voodoo. His parents had mentally abused him and called him “Son of Satan”. Nicky wanted no part of religion, but somehow this was different. No one had ever told him that God loved him. Pastor Dave was interested in reaching others for Jesus too. He arranged to get all the gangs together at an arena in New York so he could preach to them and try and reach them. 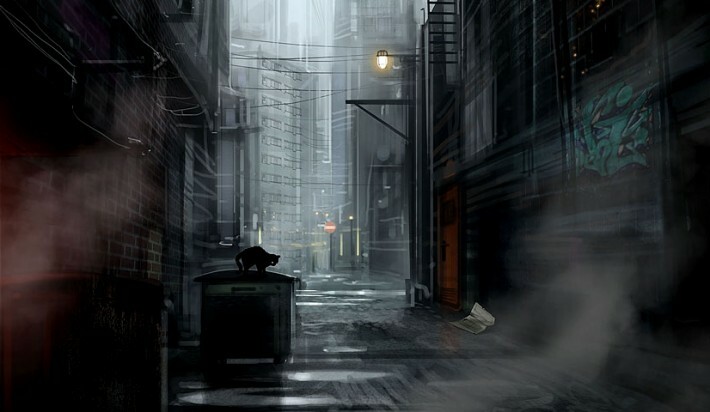 Little did he know that the Mau Mau’s and a rival gang had decided to have a gang fight at the arena the night of the crusade to settle once and for all who was the toughest gang and who would control the streets. The night of the crusade came and arrangements for busses were made to transport gang members to the arena. The Mau Mau’s sat on one side and the rival gang set on the other. When Dave started preaching, he could feel the spirit of the Lord move across the arena. The gangs were rowdy and frightened a young girl singer off the platform. The gangs were taunting each other, but Nicky was feeling conviction for the things he had done. Dave asked the leaders of both gangs to come up front and take the collection plates and collect money for the service. Nicky and the other leader and a few other gang members collected the offering and Nicky talked them out of taking the money and leaving. After they went back to their seats, Pastor Dave started preaching. He told them that they didn’t have to live the way they are living and that there is a better way. He told them about how tough Christ was to die on a cross for their sins, and how God loves each and every one of them. All of the sudden the rival gang member jumped up and made a run at Nicky. The other gang members prepared to fight but all eyes were on the two gang members. Nicky had the other gang leader down on the floor with his switchblade engaged and ready for action. But Nicky was overcome with conviction. He let the gang leader go and the fighting stopped. It was at that point that Pastor Dave began preaching again. At the end of the service Pastor Dave gave an altar call and many gang members were saved that night including Nicky. After it was all over, the gang members took their weapons and turned them in at the police station. The police said that if they would have seen them coming, they would have opened fire and shot them down thinking they were trying to take them over. It just shows that when people hear the real gospel of Christ under the conviction of the Holy Spirit, than God works and people are saved. The Holy Spirit helps to convince the hearer of the truth that is being said. There is no other religion that promises what the God of the Bible promises, and non other can deliver as He does. Those of us who have been lifted out of the deep sinful hole that we came out of remember what it was like and we don’t want to go back, and as we grow in Christ, we are more and more compelled to reach the souls that are down there where we came from. The same grace that we received is also available to them. God can lift us out of that situation that clouds our minds where we don’t see the light, and he can bring that light down on us so we can finally see our situation, our sin, our need for a savior. As we grow closer to Christ we begin to change and become more Christ like and like the song goes “the things of this world will grow strangely dim” because we are spending more time looking at things above than things below. Our sights are on God and Heaven and others and less on ourselves. We no longer have to manipulate others to get what we want. God supplies all our needs. You can see the movie about Nicky Cruz’s life and Pastor Dave Wilkerson. 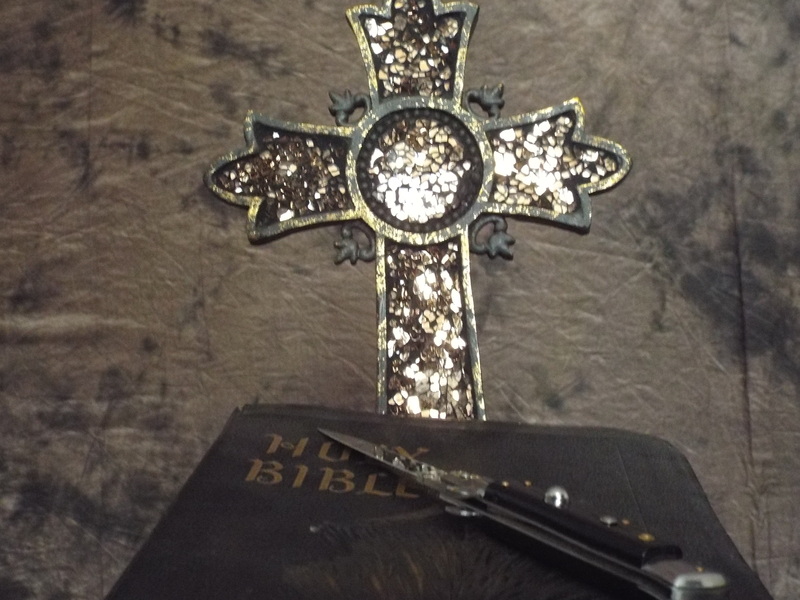 It is called “The Cross And The Switchblade”, and visit his website online. He has a few more video’s out. Another movie about Nicky Cruz is “Run Baby Run”… Nicky went to Bible college, studied the Bible and is a pastor now and has gone back to New York and recruited gang members for Christ. He talks to gang members all the time. Pastor Dave Wilkerson went on and kept preaching too.